A tough, multi-function boot that delivers rugged performance in a lighter-weight package. Our injected DuraPU™ midsole provides support and the extra-stable PU MONOWRAP® construction delivers lateral stability plus instep protection against rope abrasion should the chase involve rappelling. Durably waterproof/breathable. 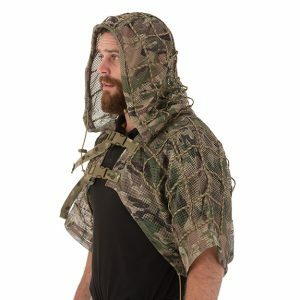 The Valhalla Ghillie Short is a basic and cost effective ghillie suit. It features an integrated hood and wide 550 cord grid work for garnish and foliage attachment. The Valhalla Ghillie Short conceals the head and upper third of the body and can be worn in conjunction with chest rigs or duty gear. The suit body is constructed from a strong lightweight mesh material to keep ventilation high and weight low. Features: Available in Multicam. This new collection of rugged multi-function boots is designed for demanding missions while carrying heavy packs over varied and extreme terrain. 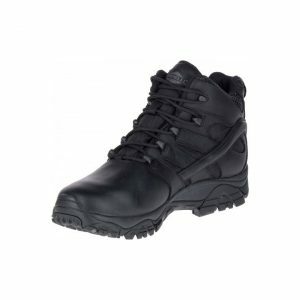 Lightweight and stable, these boots offer the walking comfort of light hiking boots, yet with the support and protection of backpacking boots. 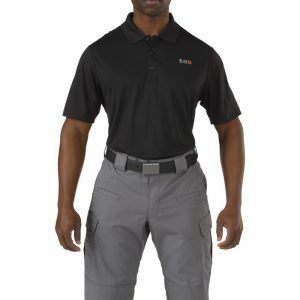 The Pinnacle Polo is a clean and professional men's polo with overt 5.11® branding at the left chest that Features a stylish and functional design.